Smartraveller advises that if you incur medical expenses while overseas and you do not have travel insurance, you are personally liable to cover the costs. Medicare or your private health insurance will not be able to help you out either. We recommend travel insurance as an absolutely necessity. It can even be used to cover financial default and damages that occur domestically or internationally. Policies can cover single trips or multiple trips and can be purchased for high risk activities, such as skiing and horse-riding. Should your circumstances take a turn for the worse, for even a minor accident, you need to know you are covered. Travel worry free knowing you are covered. Book with us and receive a 15% discount. 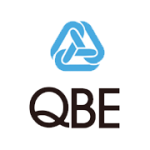 Compare policies and book travel insurance right now, use the links above to see the policies that CHI and QBE offer. Contact us if you need advice about a policy or to add a policy to your accommodation booking.